There’s a thin line which separates fun and hazard caused while flying a drone. And this is why the multinational telecom provider Vodafone has established an air traffic control system for drones based on a 4G mobile network to increase the safety of unmanned flights. The company has developed what it calls the world’s first Radio Positioning System (RPS) to be used for tracking drones. This is because drones have a very high velocity and are very small in size which makes it difficult for a RADAR to detect them. This makes drones hard to intercept when they’re carrying illicit substances like prohibited drugs or even explosive payloads. Vodafone’s radio-based air traffic control system will be tested in Germany and Spain in partnership with the European Aviation Safety Agency (EASA). The technology, which evolved from what was used to track McLaren cars on Formula One circuits, had undergone early testing last year with 2kg payloads on drones flying above the Spanish capital city. The popularity of drones has led to several concerns about safety including dangers it has for civil aviation. There was recently an incident in Las Vegas in which a drone flew by a passenger flight at an alarming distance. Furthermore, an unmanned aircraft could be used for snooping around sensitive areas like military bases or prisons. 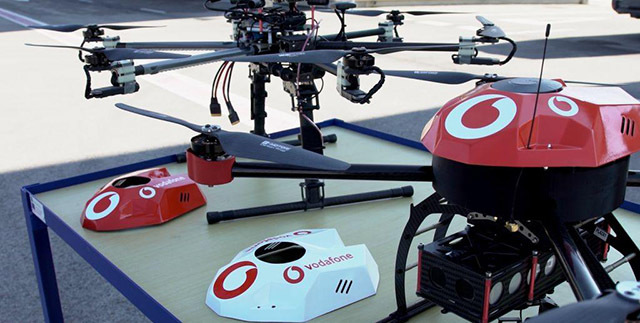 The RPS system by Vodafone is capable of tracking consumer drones but the bigger application lies in commercial drones. 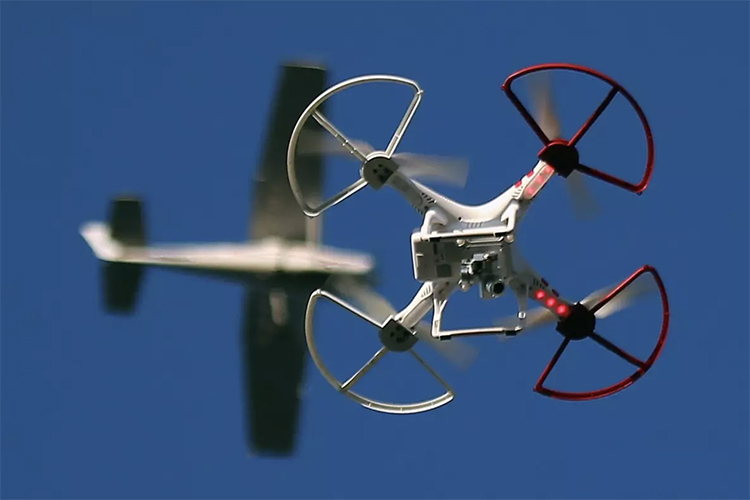 The system is designed to track drones flying at altitudes of up to 400m. It also features artificial intelligence to engage multiple drones at once, and even deflect a drone in case it is flying towards or in the path of an aircraft. Vodafone is confident that if the utility of the RPS can be proved at lower altitudes, it could eventually be used to guarantee the safety of drones at altitudes above 400m which could open up the door to more commercial applications. At the same time, Vodafone believes that the system could, over time, replace the traditional air traffic guidance and management systems deployed by the aviation industry currently. Vodafone will showcase the technology at MWC 2018 and plans to make it commercially available by 2019.